From the exhibition Im-materiality no. 3 (consciousness), Sorø Art Museum, DK2014. In Exposed Objects, Ebbe Stub Wittrup and Troels Sandegård expand on their idea in the earlier Ten Sealed Images. In that work, a clairvoyant was asked to describe images sealed in envelopes, and the resulting descriptions were incorporated into the artworks. In the newer work, we have entered the third dimension, and the clairvoyant is now describing objects sealed inaccessibly inside concrete. Here, the artists cross paths with a central dispute in contemporary Speculative Realist philosophy. Though Speculative Realism might seem opposed to the philosophical revolution launched in the 1780s by Immanuel Kant, there is actually a lively dispute within the movement over Kant’s central idea: the hidden Ding an sich or thing-in-itself. Those who call themselves Speculative Materialists (here Quentin Meillassoux is the chief example) hold that the real objects outside the mind can be directly known. Following his teacher Alain Badiou, Meillassoux claims that the real can be mathematically formalized, allowing us to deduce absolute and eternal truths. On the other side are the partisans of Object-Oriented Speculative Realism, including myself. For us, no knowledge of objects can ever be equivalent to those objects. Any human access to things will always amount to a translation, distortion, or caricature of them. In this way, we preserve Kant’s views on the thing-in-itself, withdrawn from all direct human access, and known solely in indirect fashion. Where do Ebbe Stub Wittrup and Troels Sandegård implicitly stand on this central question of contemporary philosophical debate? For them, are the sealed objects directly knowable or not? The clairvoyant (in French, literally the one who sees clearly) might seem to be the very incarnation of direct access to reality. To be clairvoyant purportedly gives one direct access to reality-in-itself, free of mediocre bourgeois procedures and experimental mediations. Viewed in this way, the clairvoyant might seem to be the twin sister of the mathematician, though reaching the eternal truths of reality by even more rapid means. Yet the mathematician would surely disown such a sister. At any rate, the very conditions of Exposed Objects render such a link unlikely. In Ten Sealed Images, for instance, we do not find any direct access to reality when a tinfoil-wrapped image is described, with implausible vividness, as a sinking oil tanker or an ice sphinx. Instead of joining the mathematical Meillassoux in direct access to the real, the clairvoyant seems more comparable to Kant, for whom our contact with reality is always mediated or obstructed. In this respect, the clairvoyant is a useful figure for the artist more generally. 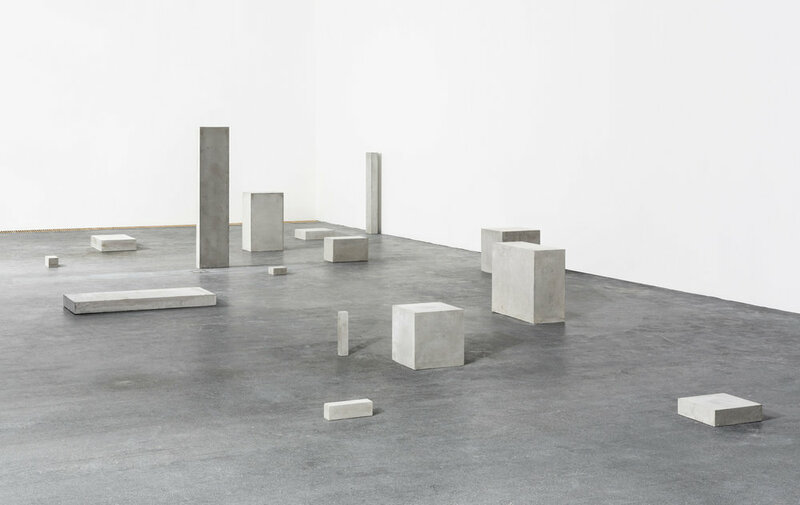 Instead of reducing objects downward to their material particles or upward to their lucid mathematical representation, the artist calls our attention to objects that are both irreducible and inaccessible. In Exposed Objects (the very title is a bitter irony, for the objects are encased in plaster and “exposed” only by attempted paranormal means) inscrutable concealed, concrete-coated things are translated into descriptions bordering on poetry. In this way, art de-mathematizes the real, just as philosophy does.